… and Moriyama & Teshima / Acton Ostry Architects is the winning team. 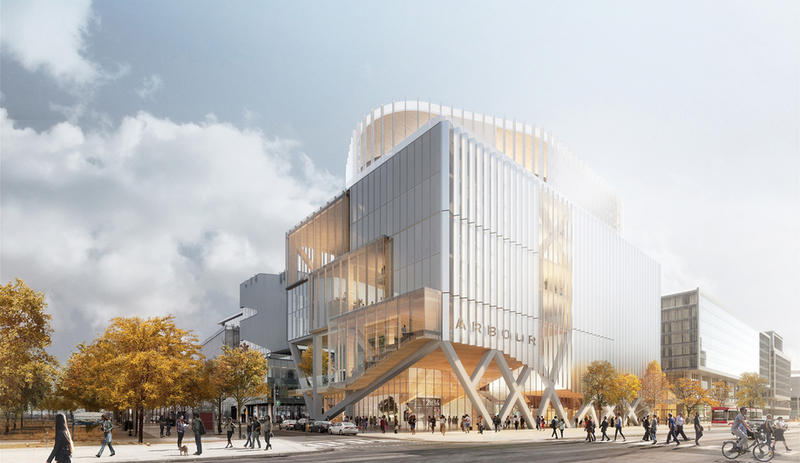 Their scheme beat out four internationally-renowned firms angling to build The Arbour, a mass-timber tower on Toronto’s waterfront, as part of George Brown College’s ambitious expansion plans. 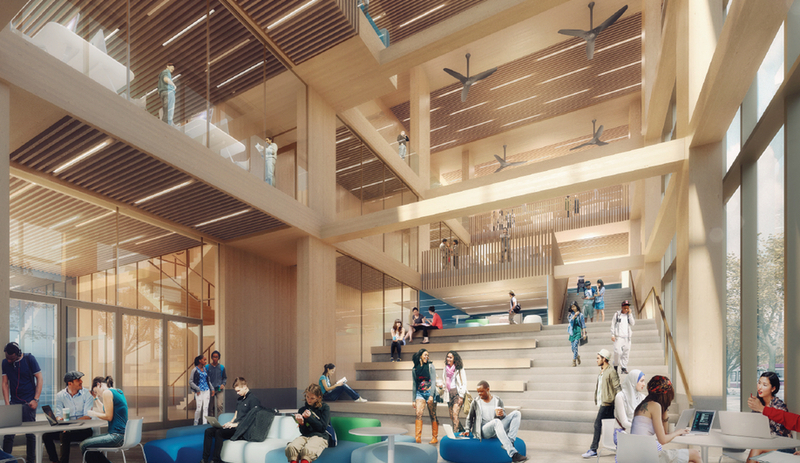 On April 3, the city college announced the winning scheme for The Arbour, the name given to a net-zero, mass-timber tall tower planned as part of the next phase of the school’s growing campus on Toronto’s waterfront. 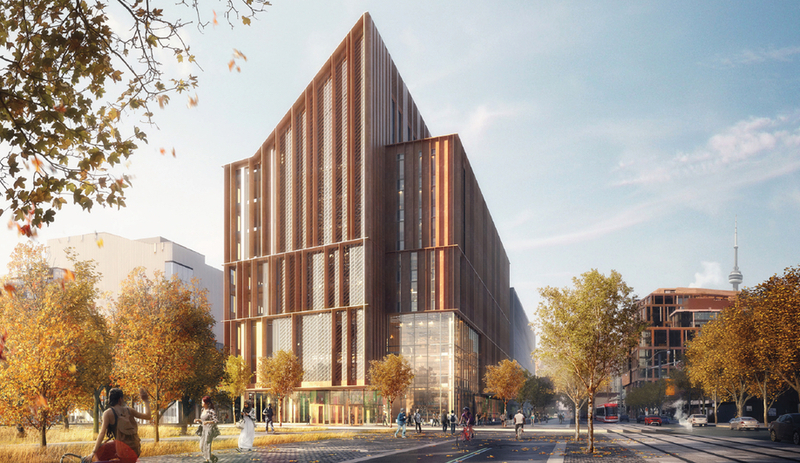 Projected to begin construction in 2021, the multi-storied building will house Canada’s first Tall Wood Research Institute and a new school of computer technology. 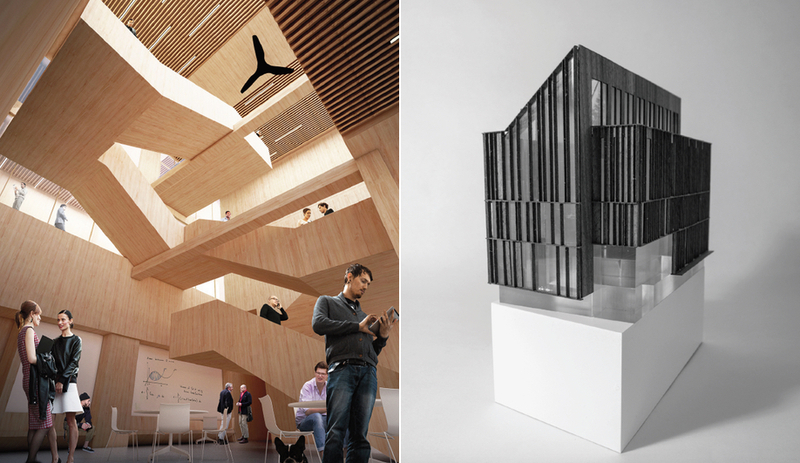 Moriyama & Teshima Architects and Acton Ostry Architects – from Toronto and Vancouver respectively – provided the winning plan. 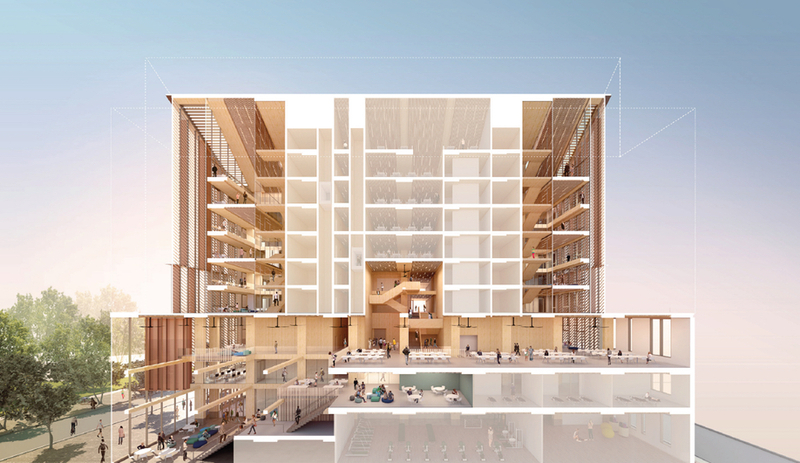 The team’s proposal beat out some stiff competitors, including Pritzker Prize laureate Shigeru Ban, who has already built a number of timber buildings. Patkau Architects of Vancouver, in collaboration with MJMA of Toronto, were also in the running, along with Montreal firm Provencher_Roy, working with Toronto’s Turner Fleischer. The plan features a steeply pitched rooftop and plenty of glazing to show off its mass-timber construction. And two solar chimneys will create a natural convection by drawing air up and through the interior. The firms describe the 12-storey layout as a “tartan grid” with a line of circulation running down the middle, and a central atrium exposing a labyrinth of open walkways and stairs. Classrooms and labs will be found along the periphery, but over time, programming can change because of the building’s large-span beamless structure. The uninterrupted spaces will allow interior walls to easily go up when smaller rooms are needed, or get torn down to create larger environments. Before the winner was announced, the college engaged the public in the process a day before the jury convened by hosting an open presentation, where each team was given 20 minutes to describe their vision. The auditorium was so packed a second room had to be opened for the overflow, and many observers watched from the hallway through open doors. 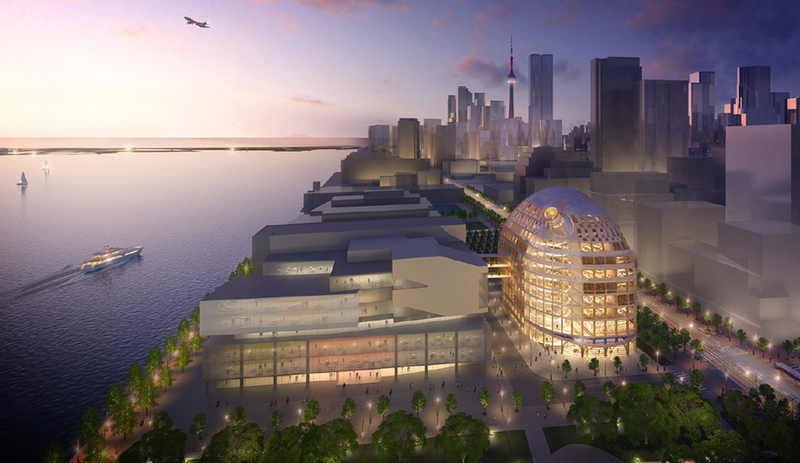 Torontonians care a lot about what is getting built in their city, especially along the waterfront, where 800 hectares of lakeside property is now in the full throes of big development. 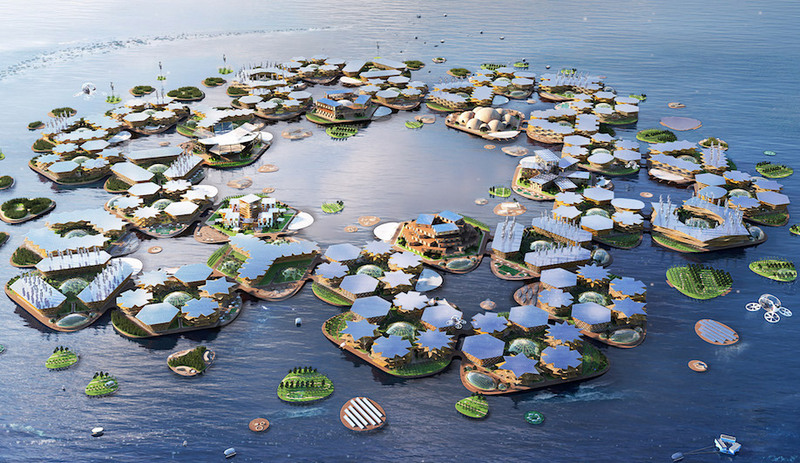 Earlier this year, Google’s Sidewalk Labs announced it had signed on to build its first smart city, Quayside, on a 4.85-hectare parcel of waterfront land. Quayside’s high profile has further piqued interest from citizens keen to see how the evolving shoreline will take shape in the coming years. The Arbour, then, is poised to become a showpiece, not only as a cutting-edge example of sustainable construction innovation, but as an eye-catching symbol for a future city rooted to such progressive virtues as sustainability and smart technology. In fact, for the waterfront to work as a civic space and gathering point, it will need even more statement-making structures like The Arbour to attract locals and tourists alike. Moriyama & Teshima/Acton Ostry’s proposal is a positive shift towards that goal. Its pitched, steeple-like profile will stand out among the mostly square-shaped residential towers that surround it. 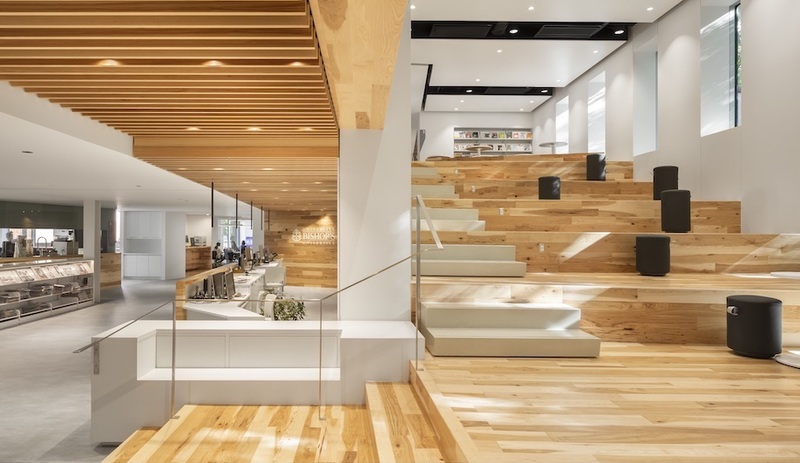 It’s a striking building, with an interior that’s logical and inviting. But of the four schemes presented, it was not quite as visually enrapturing. Shigeru Ban’s net-zero scheme (above), for instance, has grabbed most of the attention on social media. A 10-storey structure with a rounded profile, its shape is similar to a beehive or morel mushroom, and it sports a giant quirky blowhole near its top. The entire building is sheathed in a double-skin that shows off the wood beam construction. 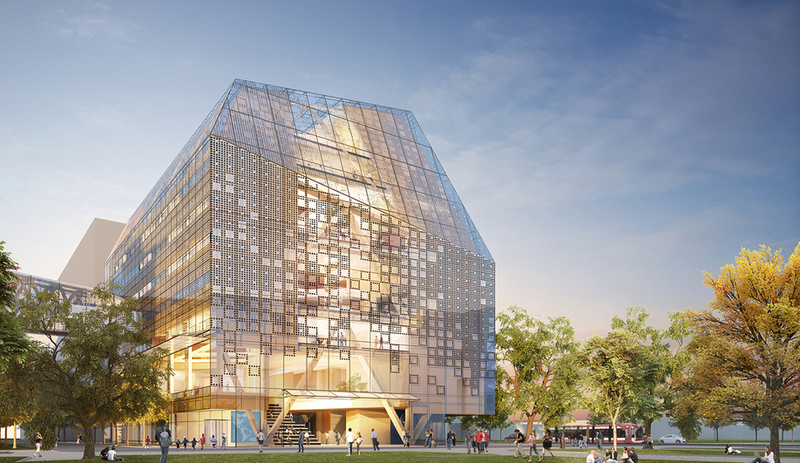 Provencher_Roy/Turner Fleischer also imagined double-skin glazing to encase the building. The scheme sports massive timber columns that criss-cross dramatically at the base, lifting the building up from street level to invite in the community. 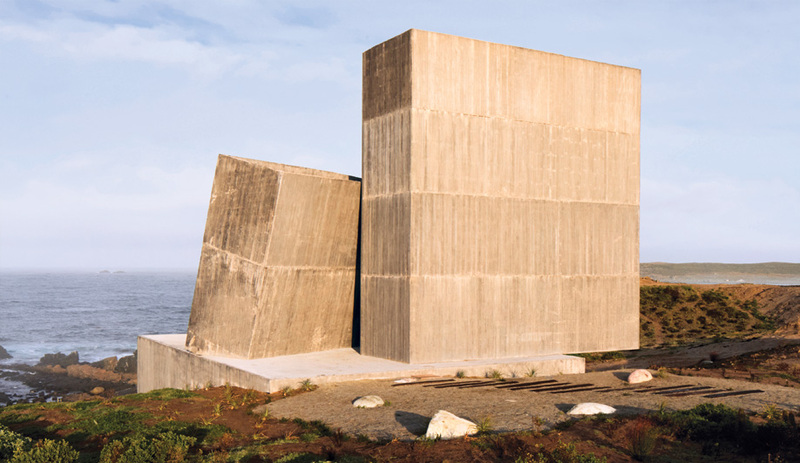 Patkau/MJMA envisioned a coat of glass surrounding an iceberg-shaped timber and concrete structure, with an open amphitheatre at its base. 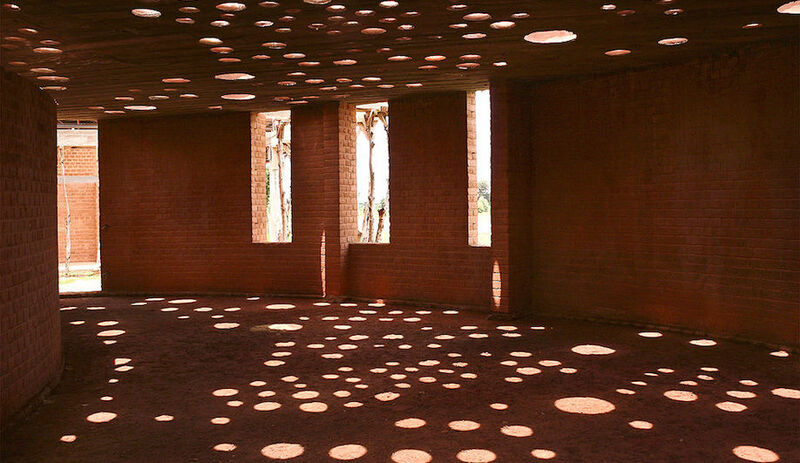 To control solar gain, they imaged a pattern of photovoltaics that would be integrated into the glazed facades and tilt toward the sun, while blocking a minimum of sky. Construction of The Arbour is scheduled to begin in 2021 and will cost approximately $130 million to build.